PAUL Bennett worked through Christchurch's devastating 2011 earthquake that claimed 185 lives but he says not even that could prepare him for the "rivers of blood" he encountered last Friday. 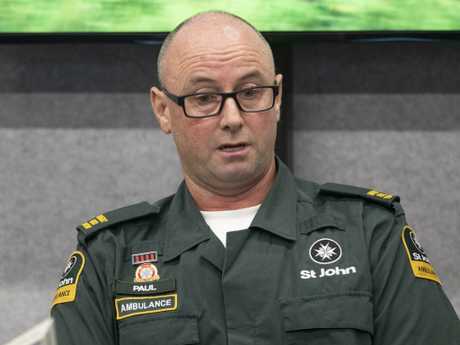 The St John Ambulance first responder was dispatched to the Masjid Al Noor mosque in Christchurch after reports of gunfire. It was dangerous, the situation was still unfolding and largely unknown but he rushed in. Nothing could have prepared him for what he found. "We tried to get our stretcher into the mosque but we couldn't because there were fatalities in the way and we ended up having to lift the bodies over the top of other bodies onto our stretcher," the veteran ambo said, before breaking down in tears. "There was a river of blood coming out of the mosque that is a scene you don't forget … it was literally flowing off terracotta tiles." He summed up what the Dean Street mosque scene was about - "hatred". On Tuesday, the men and women on shift that afternoon were on their first day off since the tragedy. At the time, there was no time for reflection as they ferried the injured, the dead and the dying to hospital before turning their fluoro vans around to repeat the action. Some wondered whether it would end. Memories of the earthquake and the some 2000 injured were evoked for some, for others it was a shocking baptism of fire for the life of a paramedic. 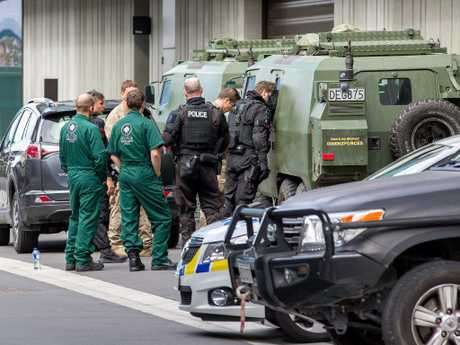 The ambulance service revealed there were Australian paramedics in on the mosques massacre operation including a young Australian University graduate on his first ever shift with the Kiwi ambulance service. "He had spent a total of four weeks in the back of an ambulance prior to that day, so baptism by fire," shift supervisor Jason Watson said. "He turned up at the mosque and took part." He praised his workers for ensuring more lives were not lost. "A good half of the patients I saw go into the back of ambulances I expected to die within an hour," he said. "The fact that only one has is incredible and is a plus to the entire Christchurch emergency services community and members of the public that helped out." It was a confused scene for all including the unparalleled stream of reports and calls coming in from 1.44pm that Friday afternoon. Call handler Spencer Dennehy, nine months in the job, talked about how in her first call she had to keep a woman, whose two-year-old and husband were in one of the mosques at the time, from going in after her loved ones. "She was very emotional and hysterical … she was determined to go," Ms Dennehy, a Christchurch local said. All three family members survived the tragedy. "It was very, very distressing … I was trying to be strong for her." It was also difficult for police who attended in those first moments, some had now been stood down for an emotional break. Police are seen at the Christchurch District Court precinct for the arrival of the alleged gunmanon charges of murder. 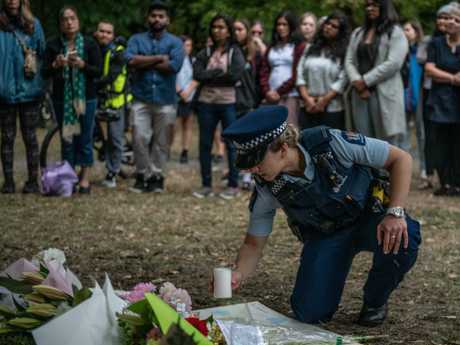 New Zealand Police Association president Chris Cahill said many were still playing through events in their minds. "Things they saw no-one should ever have to see," he said as he conceded some were now facing tough times as the event brought forth history of the earthquake response. Mr Cahill heaped praise on his officers particularly those who brought down the alleged gunman as he was indiscriminately firing his weapon out of his car window. He said they would say they were not heroes, that they were just doing their job. But he said they were heroes and represented police everywhere. "Internationally, I've had police officers contact me to say 'pass on our thanks for what they've done for the police reputation around the world'," he said. 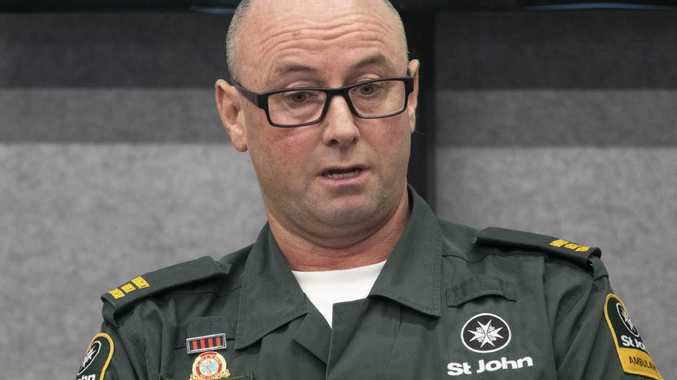 Prime Minister Jacinda Ardern also specifically recognised the two hero cops who stopped the gunman but also all the first responders in her powerful parliamentary address to the nation. 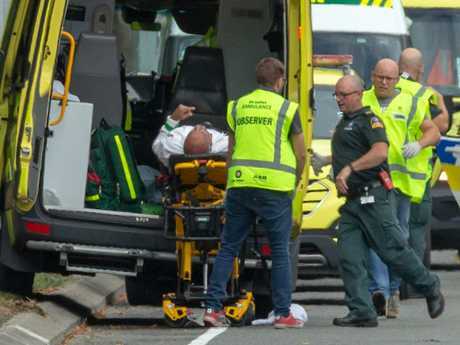 "For many of us the first sign of the scale of this terrorist attack was the images of ambulance staff transporting victims to Christchurch hospital," she said. "To the first responders, the ambulance staff and the health professionals who have assisted - and who continue to assist those who have been injured. "Please accept the heartfelt thanks of us all. I saw first-hand your care and your professionalism in the face of extraordinary challenges. 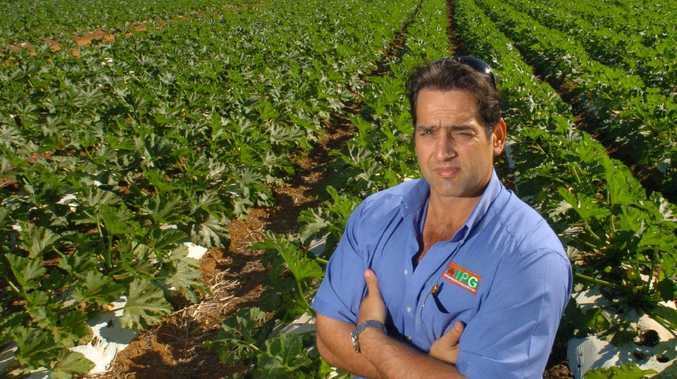 We are proud of your work, and incredibly grateful for it."